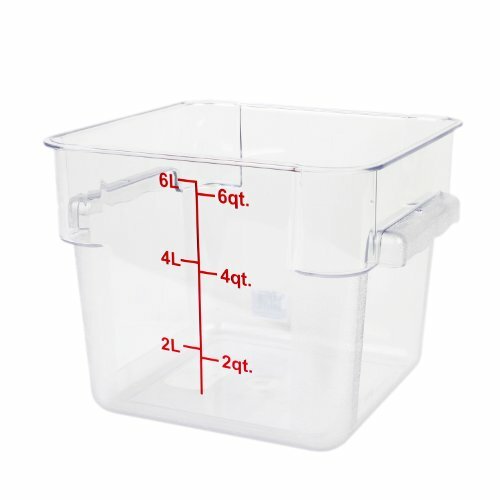 Excellante 6-quart polycarbonate square food storage container (clear). This polycarbonate food storage container is a great way to keep your food fresh. It is shattered resistant, easy to clean and dishwasher safe. It also has measurements on the outside for reference. Lids are sold separately.